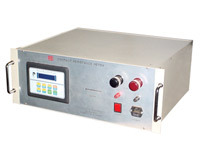 DC High Current Testing Equipments for high current testing applications and Procedures as per I.S Specifications. 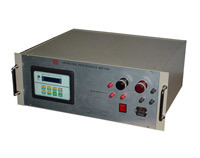 Have diversed applications like electroplating, anodizing, power supplies for Magnetic Charger, Battery Charger, etc. 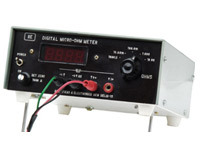 The ‘RE’ High Current Resistance Meter delivers high performance where it counts. It is the best solution for low resistance, etc. 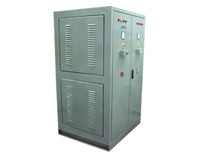 Battery Charger are generally air cooled type portable & designed for dusty & humid climate at site Railway Station, outdoor installation etc. 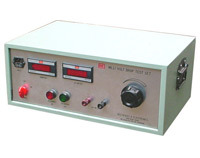 Capable to measure mili volts between 1mV to 2000mV. 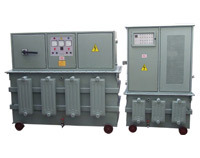 Available 0-100, 200, 600 .....3000 Amp DC. 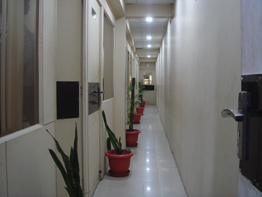 Continuous Operation available. 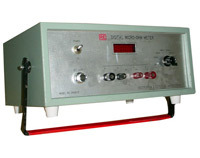 'RE' Contact Resistance Micro-Ohm Meter model RE-CR-100 is capable to measure resistance between 0.1 micro ohm to 2 milli ohm. 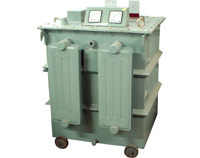 These are manufactured for various purposes like electroplating, anodizing, chemical processes, and power supplies for Copper and silver refining etc.